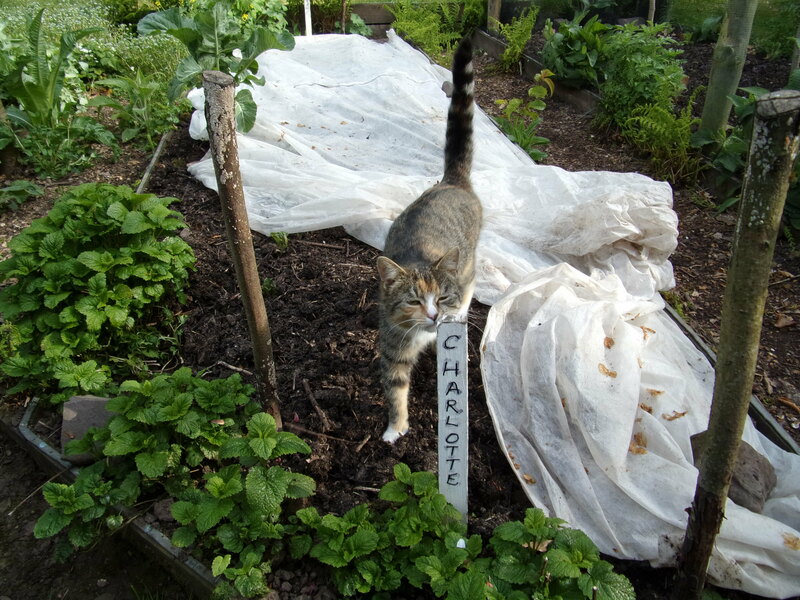 suemabberley	Sue's Musings	Charles Dowding, Compost, compost duvet, Heritage Seed Library, International Compost Awareness Week, No Dig, Potatoes, Slow-worms, wood-chip	Comments Off on Did you know? Did you know that 7 – 13th May 2017 is International Compost Awareness Week? Neither did I. When adding material – weeds, mostly dandelions from the paths – but see below on that one – and lawn mowings – to the current compost heap I disturbed a pair of slowworms mating. 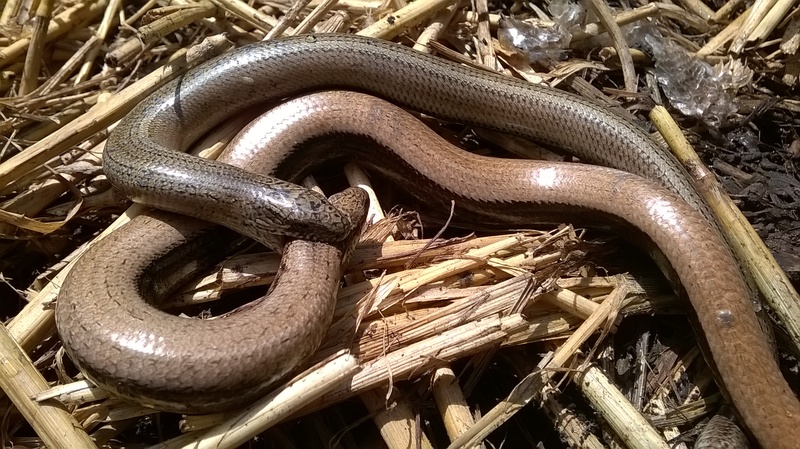 Nearly all all compost heaps are home to slowworms – which is very good news as they are brilliant at munching slugs – and I have a photo buried somewhere in my non-digital archive to prove it. Having a good mix of material to hand during the process of building the heap is always a good idea. I don’t put too much dry material (dead stalks of herbaceous material from the Spring tidy-up, for example) on at once put leave a separate pile to be added with the Spring’s first lawn-mowings. Kitchen waste, including egg-shells and tea bags, also gets added weekly – but no meat, fish or bones as this may attract unwanted rodents. 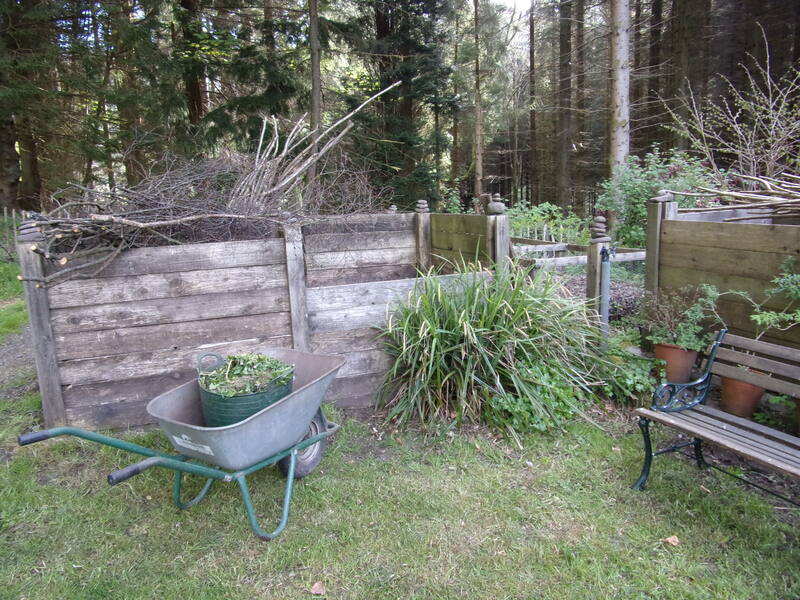 When the compost bin is full I like to get in there with a muck fork and give it a good mix – ideally if practicable turning the whole heap into an adjacent empty bin. The whole thing then gets covered and the decomposition magic does it’s thing and a couple of months later (depending on the time of year) there’s a fantastic compost to use in the garden – at no cost! Today I checked under the fleece to see whether the potatoes are doing anything – and they are. Four varieties this year – Sharp’s Express – a first early that my Dad always grew, International Kidney – which are Jersey Royals except you can’t call them that unless they are grown in Jersey, Charlotte – which are our favourites for a salady-tasting main-crop which stores well until the Spring, and Remarka – which is, in my humble opinion, the best for jacket potatoes. Remarka are my own seed saved from last year as I have been unable to buy them from seed potatoes suppliers for the last couple of years. Yesterday I planted out the first of the brassicas – Purple Sprouting Broccoli (PSB to the initiated), Calabrese Waltham (which is a new variety for us, but as we discovered the fantastic garden at Waltham Place last summer I felt I had to try it – even if there is no connection) , Theyer Heritage Kale (we are members of the Heritage Seed Library and grow different Heritage varieties every year) and Redbor and Pentland Brig Kale (both our own seed). Again the compost connection is ‘no dig’. I covered the bed with compost some weeks ago and planted the brassicas into this layer. 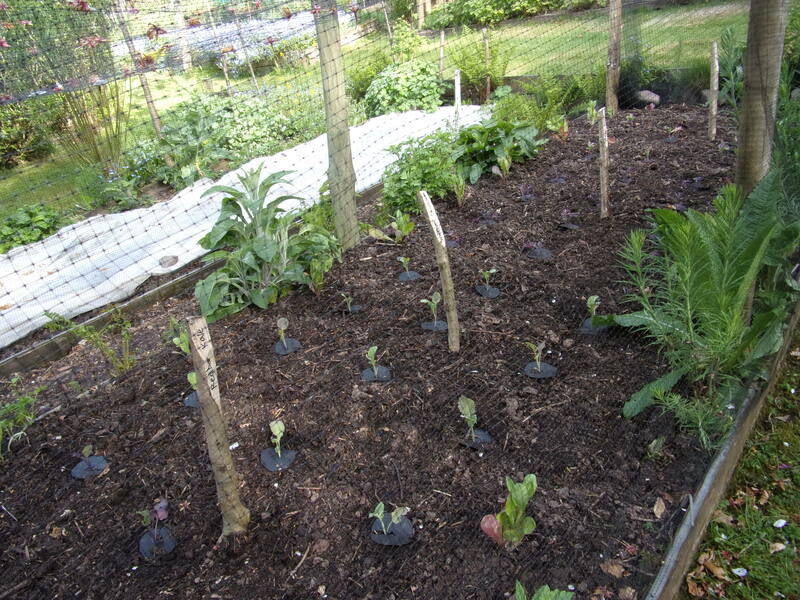 The whole bed is covered with black plastic netting to protect from the very pretty cabbage white butterflies which are welcome to feed on sacrificial cabbagey things elsewhere in the garden. Another experiment this year is exploring whether composted wood-chip can provide a good growing medium. We are pretty much dependent on wood for heating the house and cooking so when producing firewood from our forest we also generate a lot of wood chip from the brash (branches which are too small for firewood). 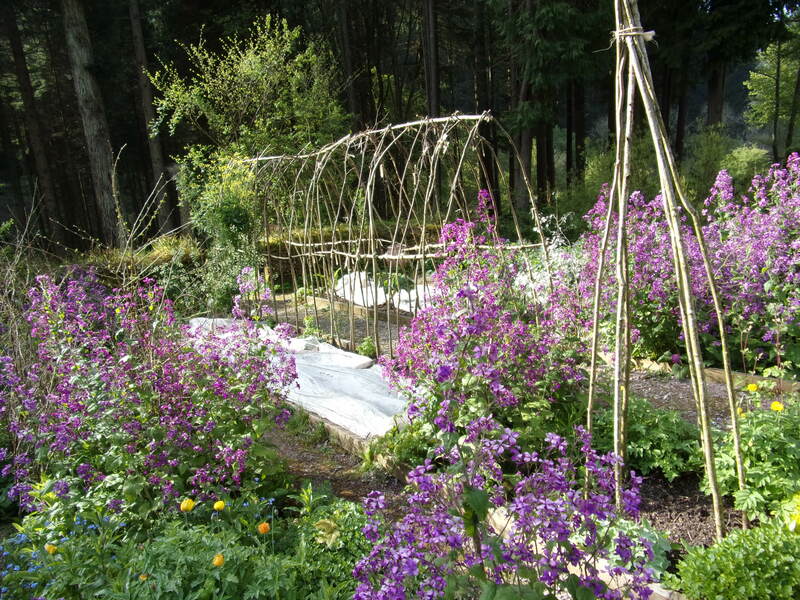 We use this on paths throughout the garden but we have lots. We also use lots of potting compost and rather than buying in expensive stuff from garden centres it makes more sense to make our own. 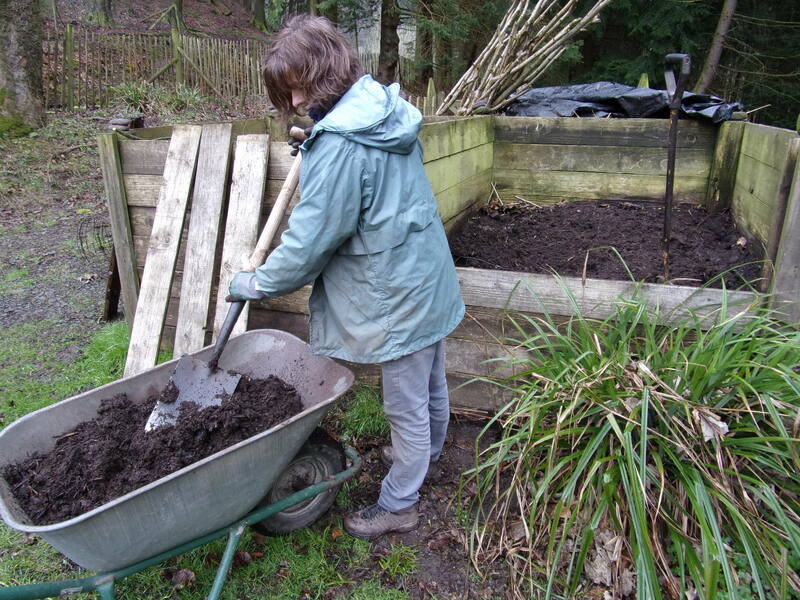 We have, for many years made our own potting medium with a mix of garden soil (often molehills), leaf mould, garden compost and sometimes Moorland Gold which is peat (shock, horror!) which is a by-product of the water industry – where it is filtered out where there is serious peat run-off caused by erosion into reservoirs. 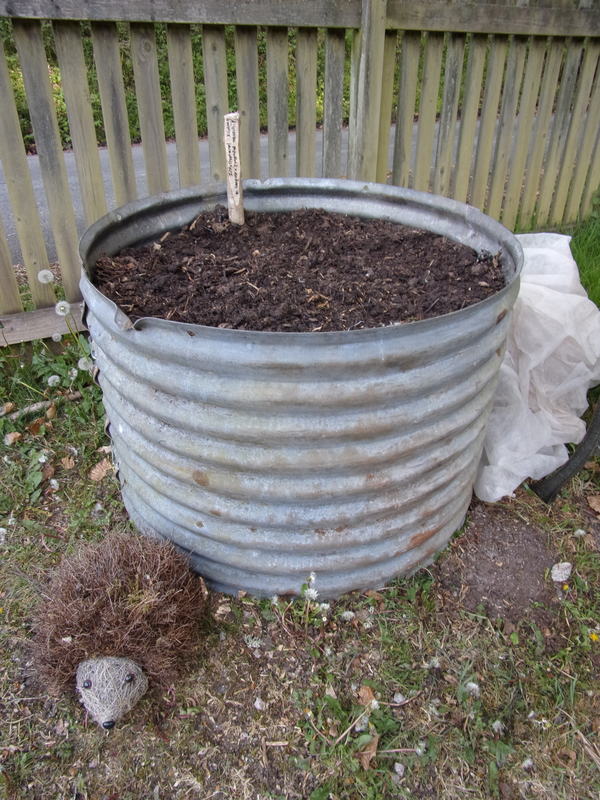 So the experiment is to see whether we can grow potatoes successfully in a mix of composted (i.e. left in a heap in the forest for a couple of years) wood-chip and my own garden compost. We’ve put this in a large container in full sun in the woodyard where we can keep an eye on it – and even water it if necessary (I think moisture-retention might be an issue with the wood-chip) as it’s next to one of our rainwater harvesting barrels. By the end of this Compost Awareness Week I hope to have turned the compost heap which we finished building a couple of weeks ago and also hope to have emptied another bin (the other half of the one where we photographed the slow worms) by mulching the rest of the soft fruit bushes – have been waiting for it to rain before doing that. 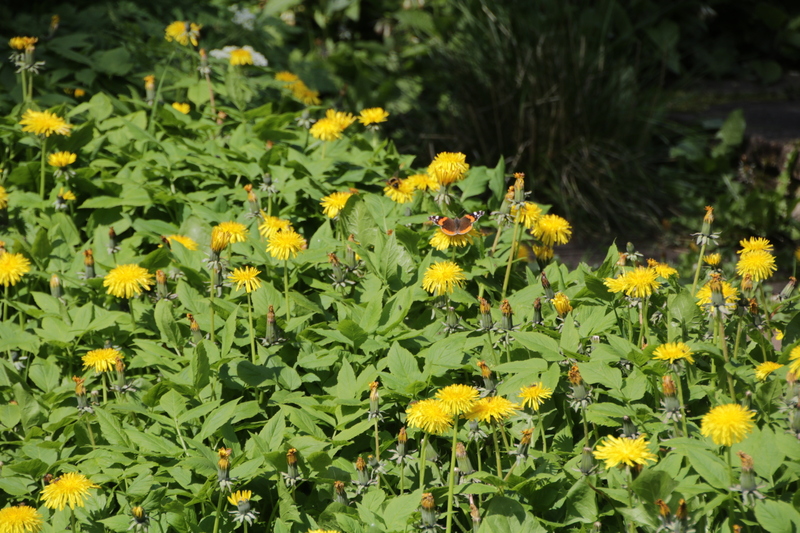 Oh …and back to dandelions, mentioned earlier – don’t put them all on the compost heap – they are magnets for bees and butterflies and other pollinating beasties..